We are also immersed in offering a broad variety of Nut Powder to our patrons. We have gained recognition as an eminent enterprise, devotedly engaged in trading a broad range of Nutmeg (Jaiphal) Powder. 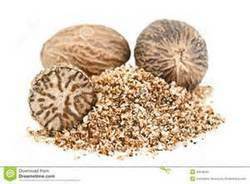 We bring forth vast industrial experience and expertise in this business, instrumental in offering Nutmeg Powder. Nutmeg powder has a number of health benefits.Not only is nutmeg a common spice made from the kernel of an exotic fruit, but it also has antibacterial properties and contains ingredients that can help improve memory, benefit the heart, relax muscles and aid with digestion. 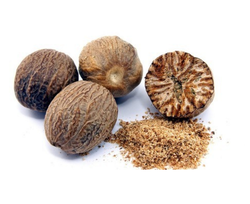 Catering to the requirements of our clients, we are involved in offering Nutmeg Powder. Saral Nutmeg Powder has a unique aroma and flavor obtained from selected qualities of raw nutmeg. This powder is processed & packed under very hygienic conditions to retain aroma and unique taste. It adds flavor to your sweet dishes or as peruse.